Mr. Phillips was killed in a racing accident at Jackson International Speedway in the 1969 Labor Day race. As Told by Mark Ware on the website http://www.midsouthforums.com: I was at that race with my father Walter Ware. 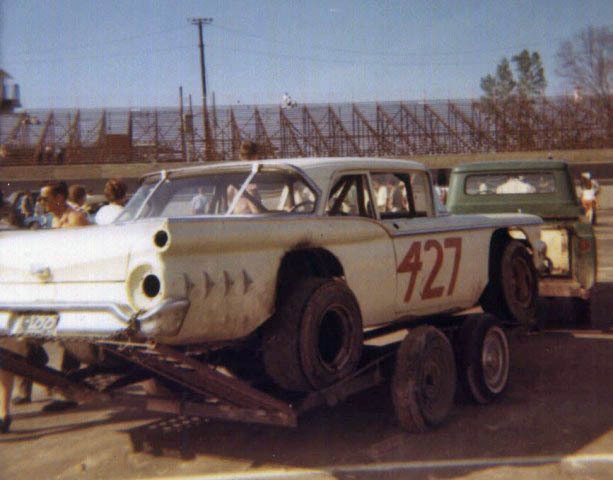 My father said the car was a ford star liner and they had just gotten it ready for the big race they were in. Mr. Phillips had just gotten the car ready that evening and something was causing it to be very loose on corner exit. He spun once on exit of turns 1 and 2. Several laps later he spun in the same area, but this time the lead pack of cars was right behind him. He was hit in the driver’s door at full speed by two or three of the cars. I recall that he perished at the time of impact and did not suffer. I was a child but was stunned and in tears at his death, though I did not know him.